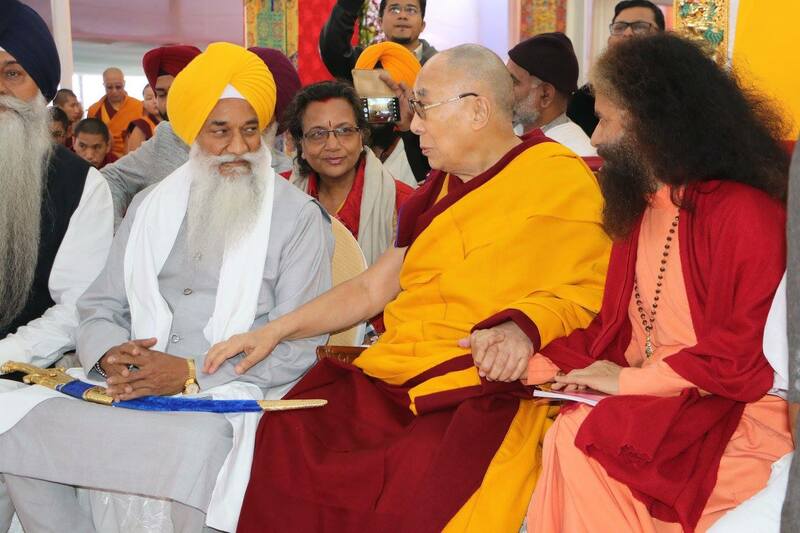 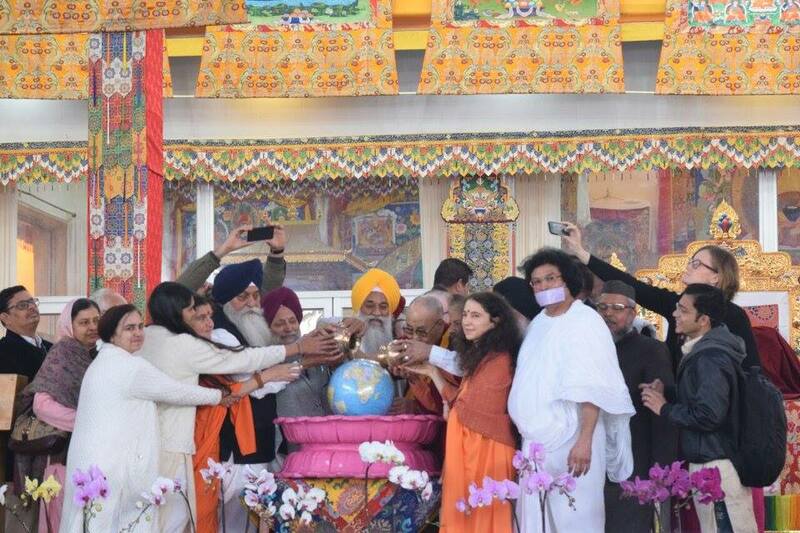 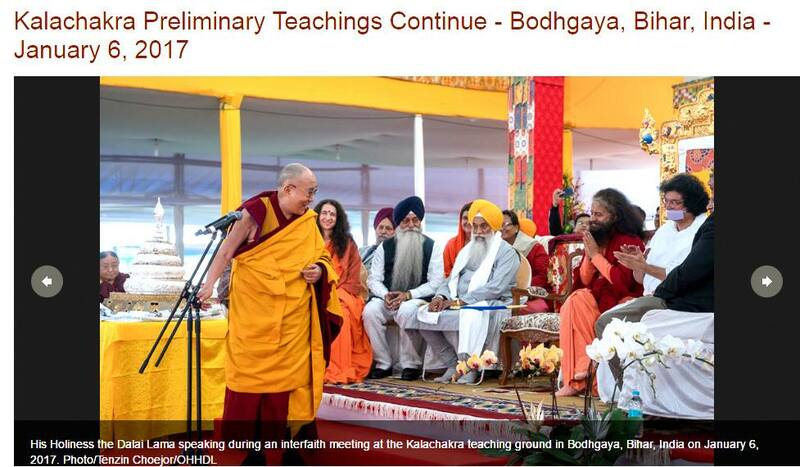 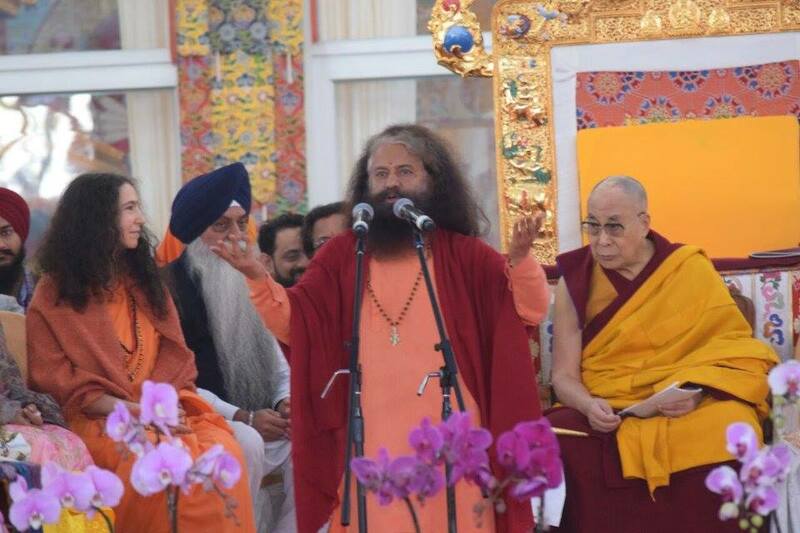 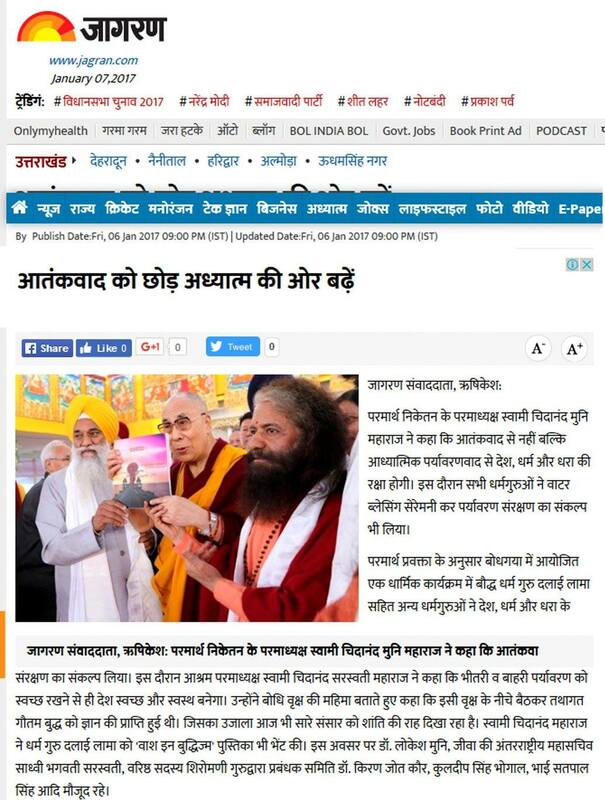 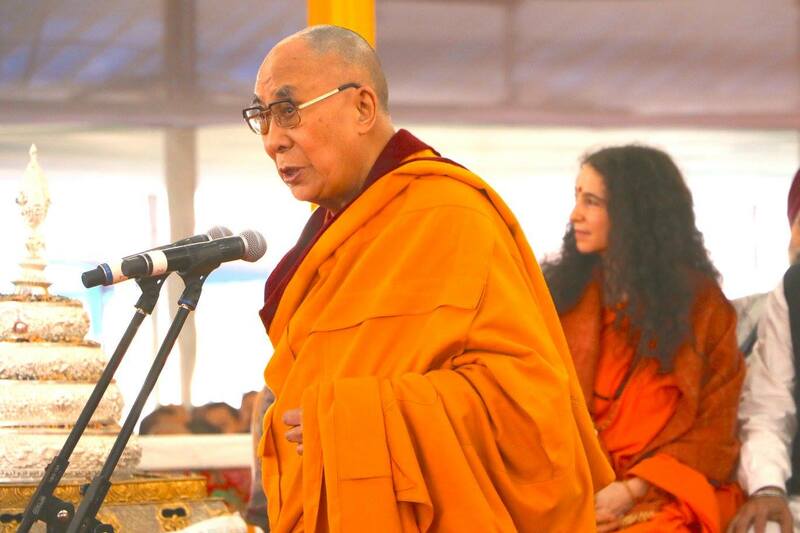 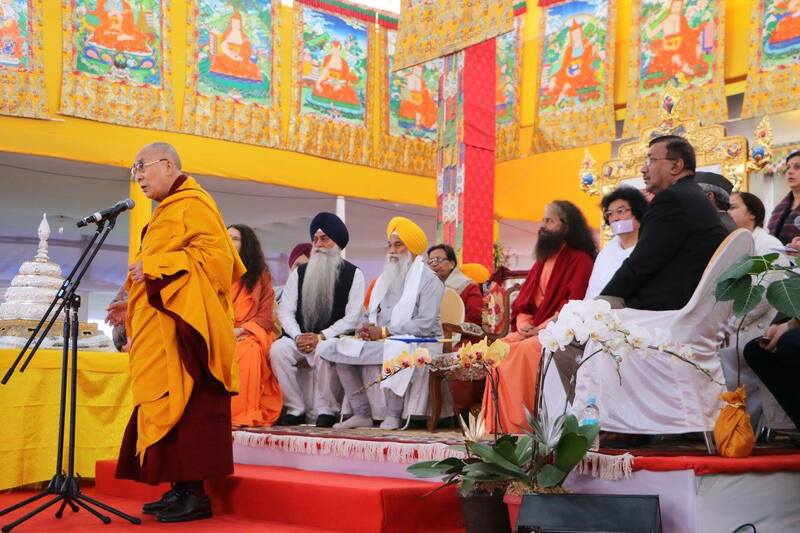 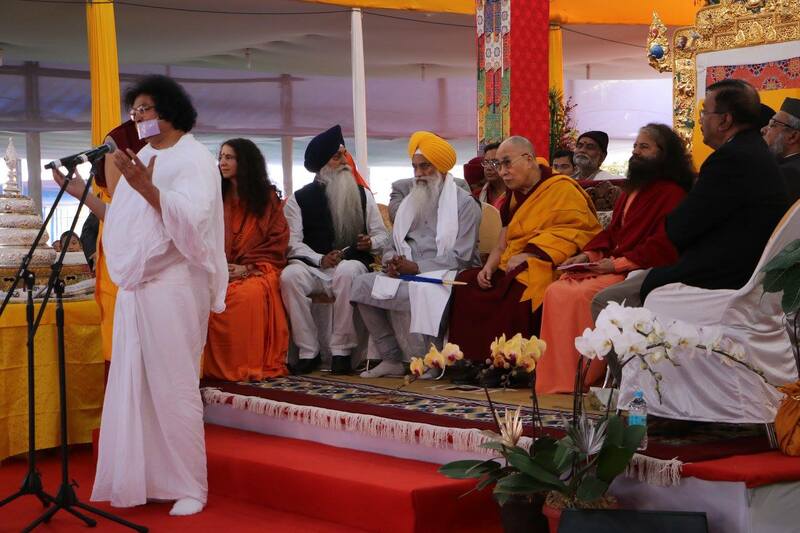 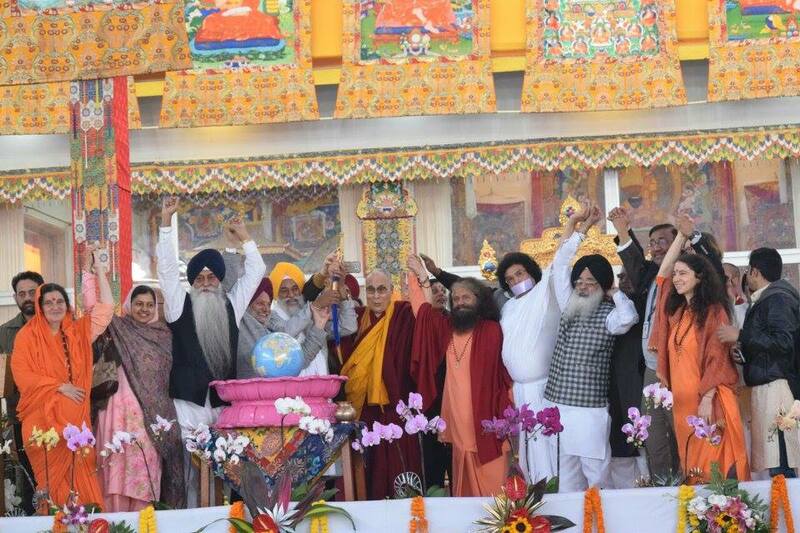 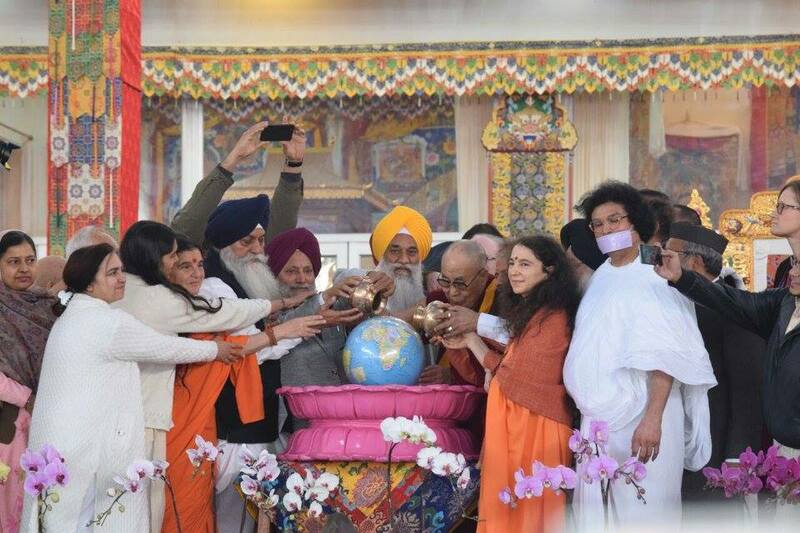 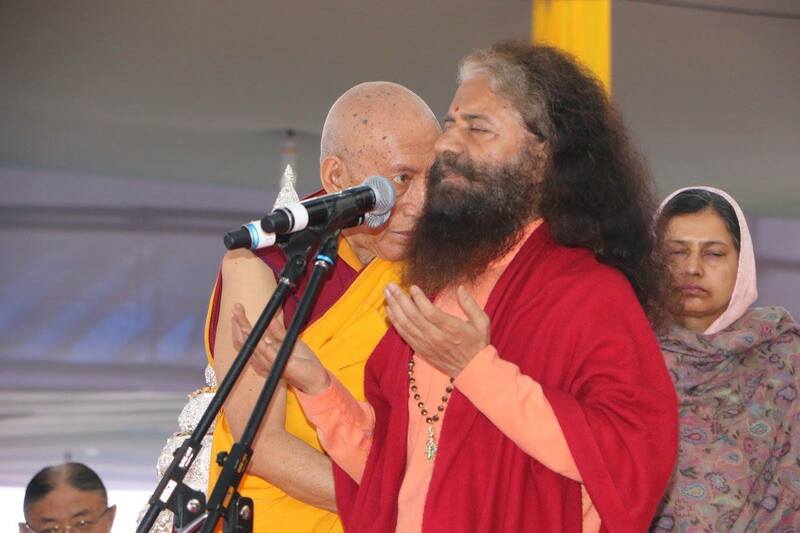 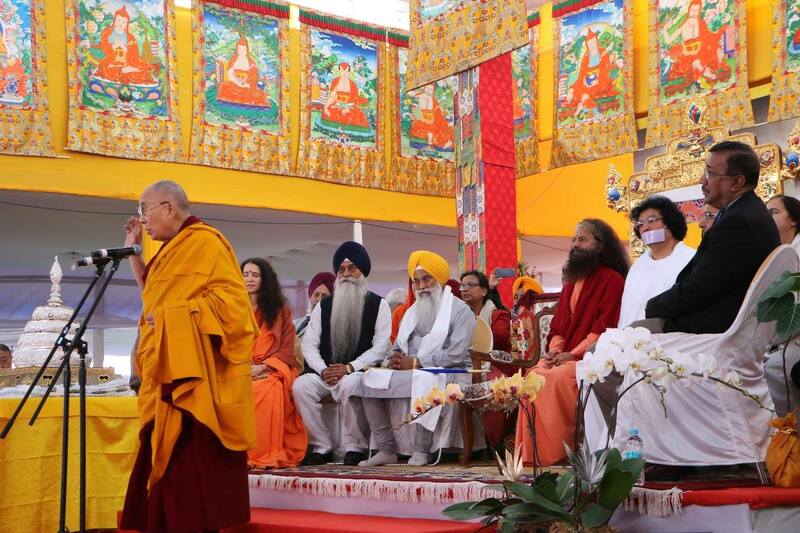 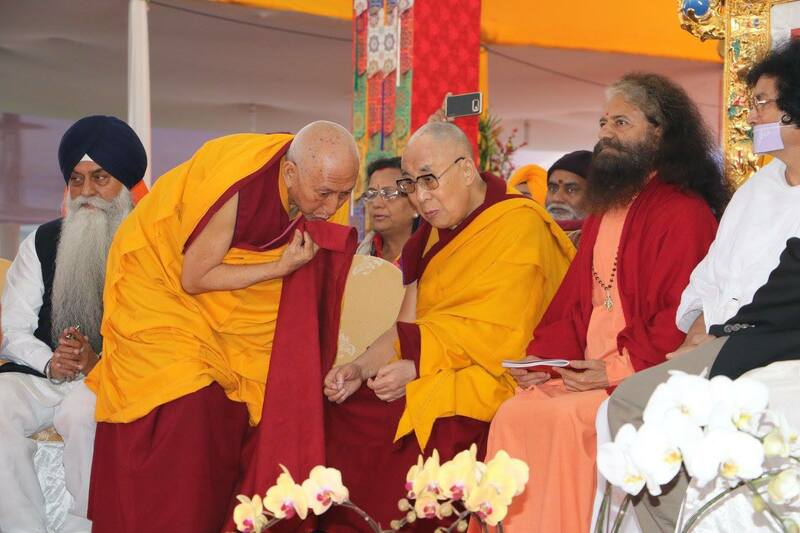 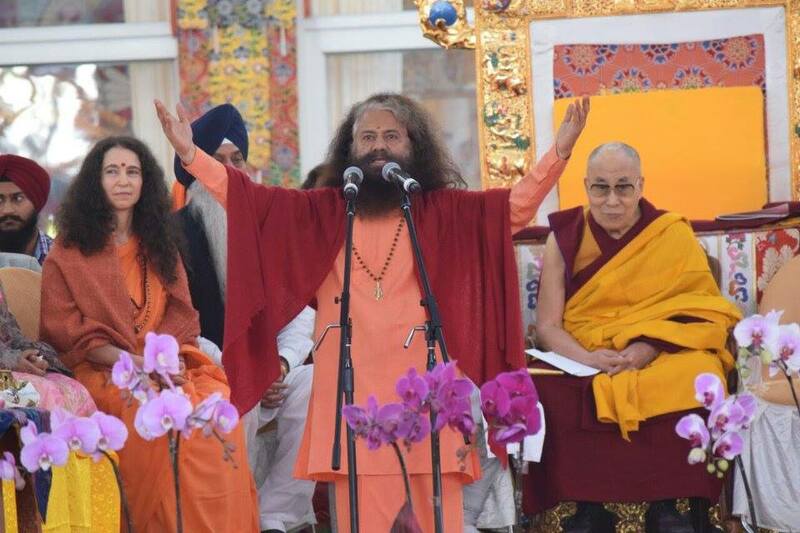 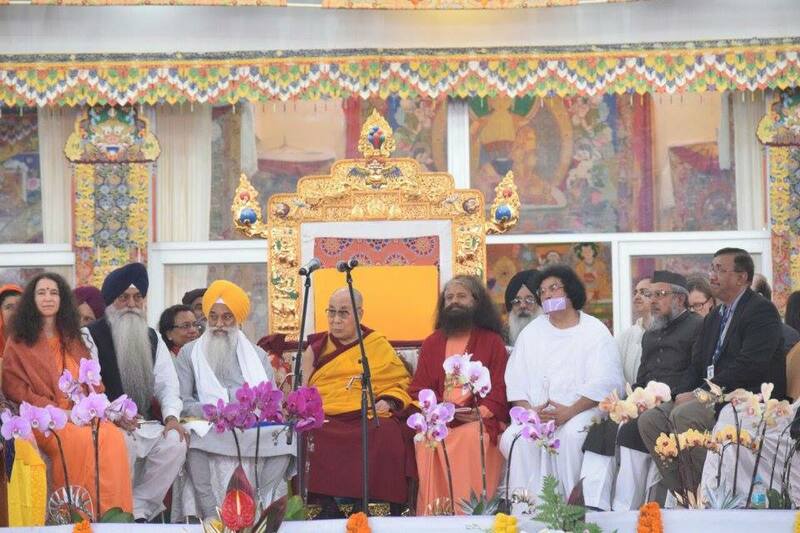 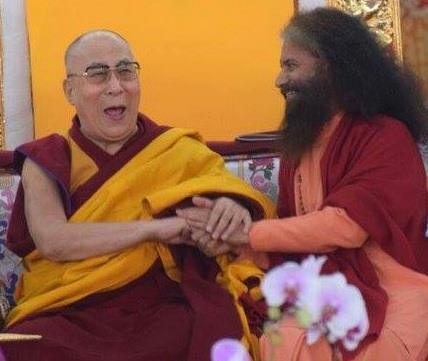 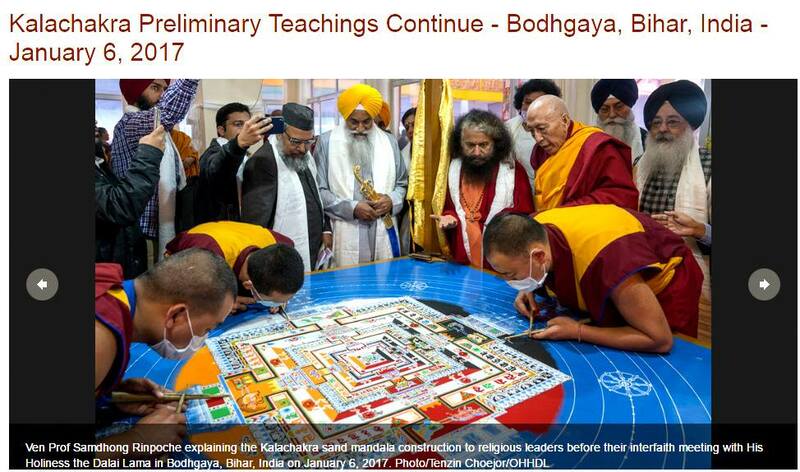 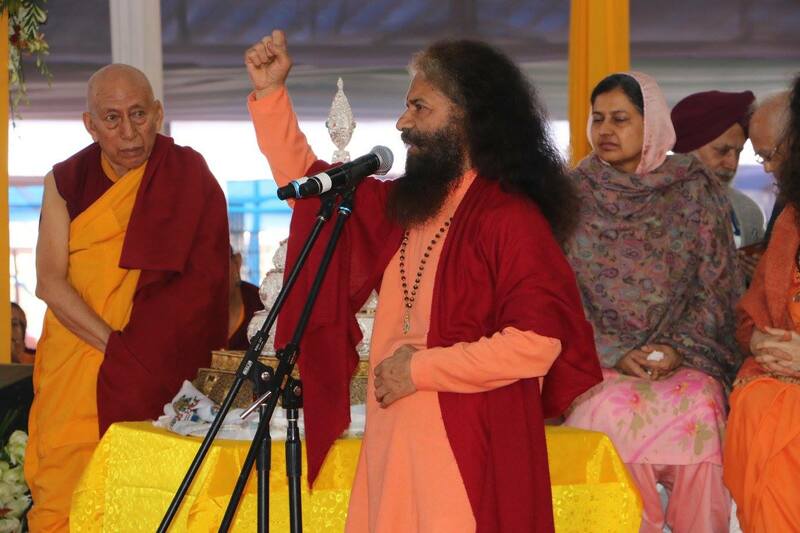 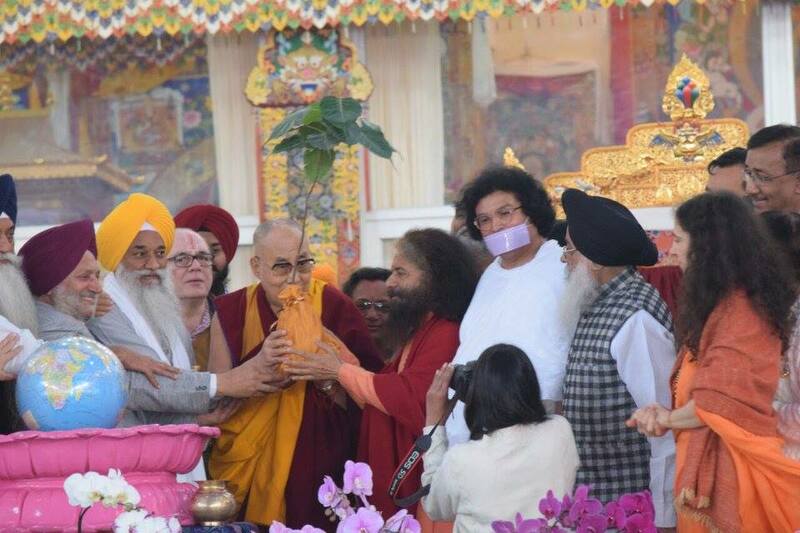 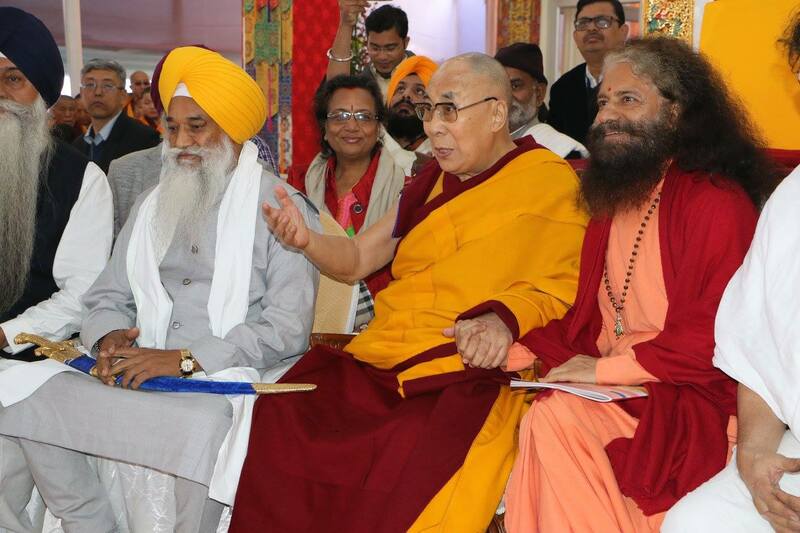 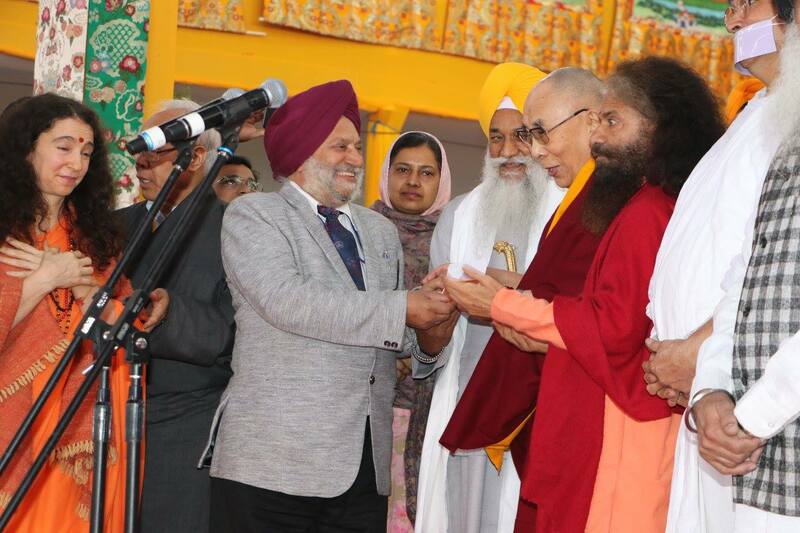 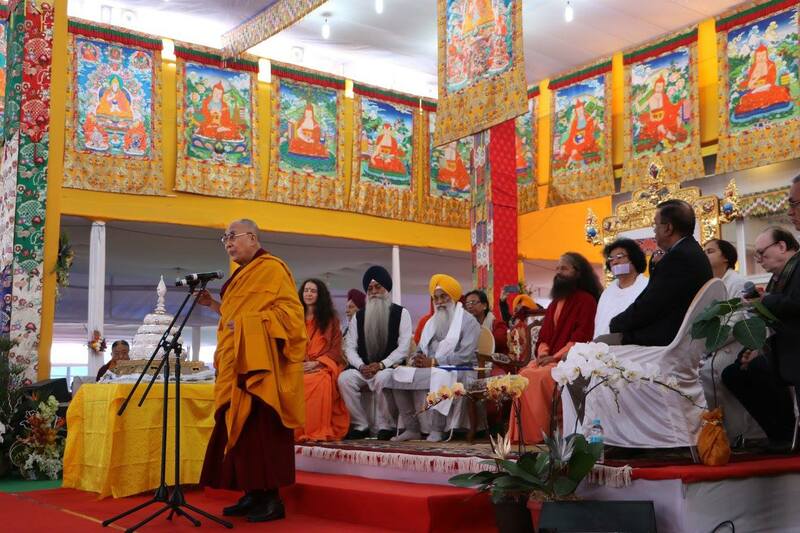 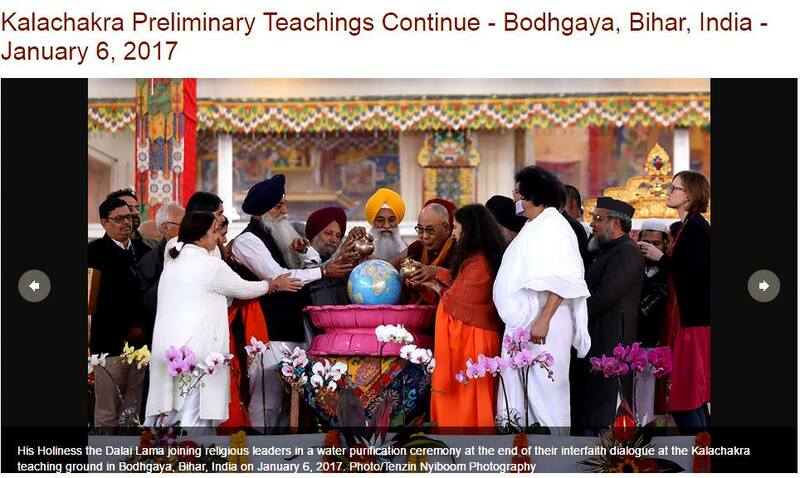 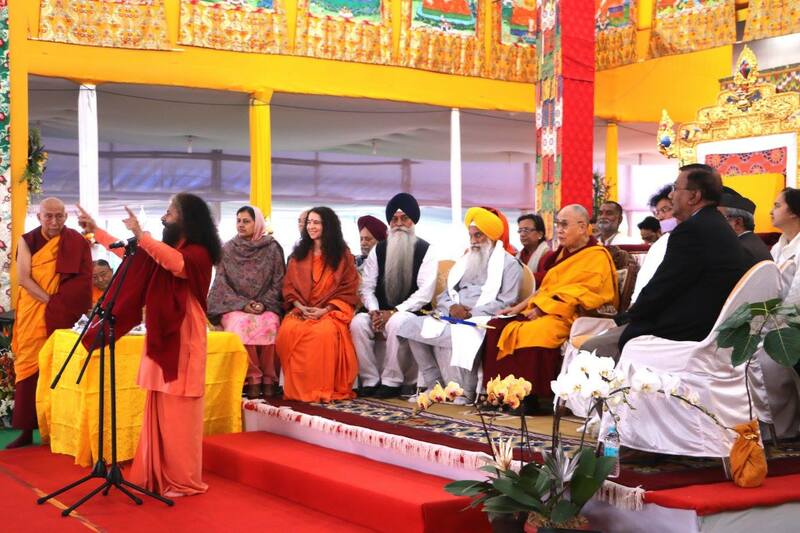 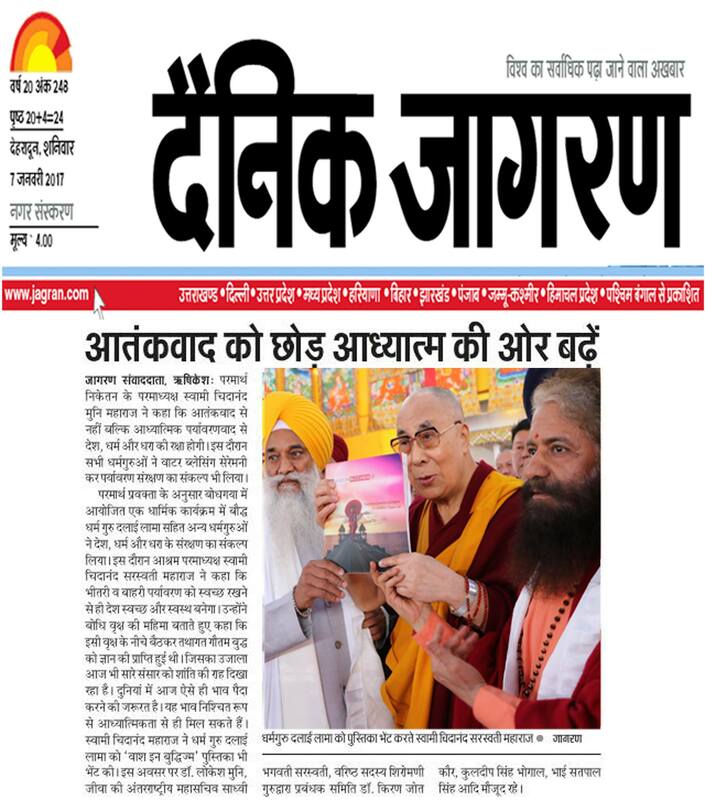 A wonderful coming together of Global Interfaith WASH Alliance’s interfaith leaders, led by Pujya Swamiji, Founder of the Divine Shakti Foundation, and HH the Dalai Lama took place at Bodh Gaya yesterday during the ongoing Kalachakra Initiation and Puja. 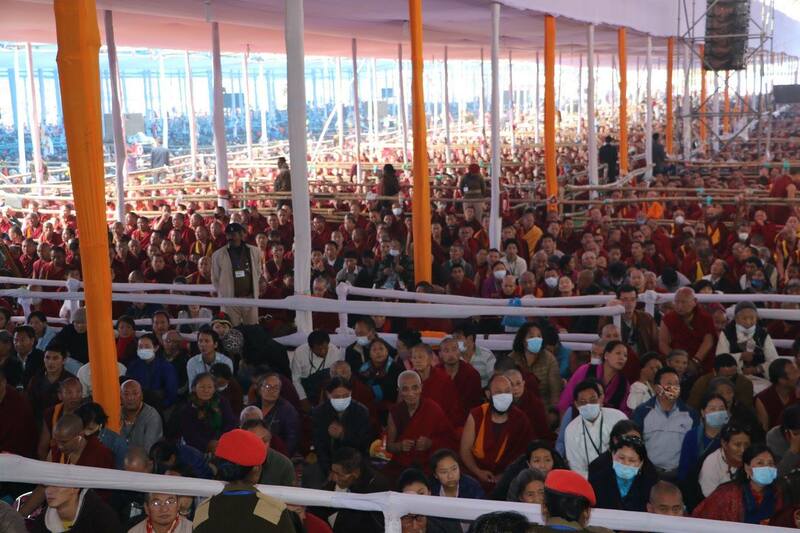 Over 100,000 people were in attendance. 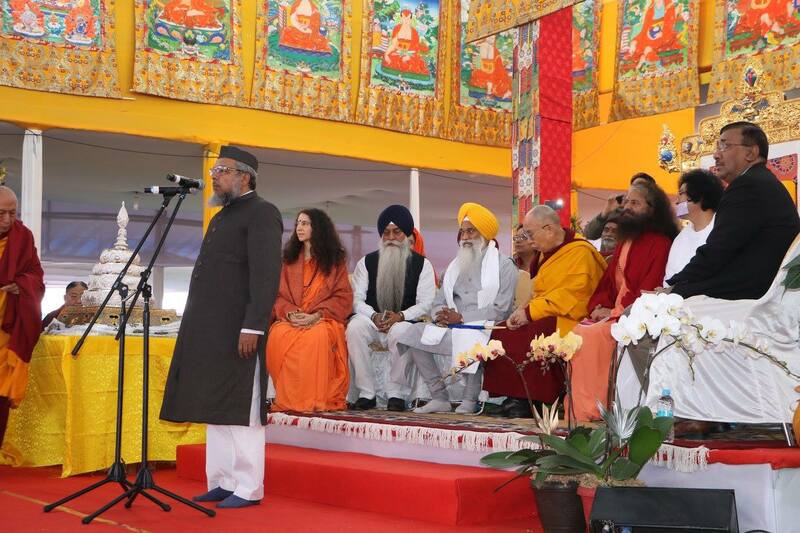 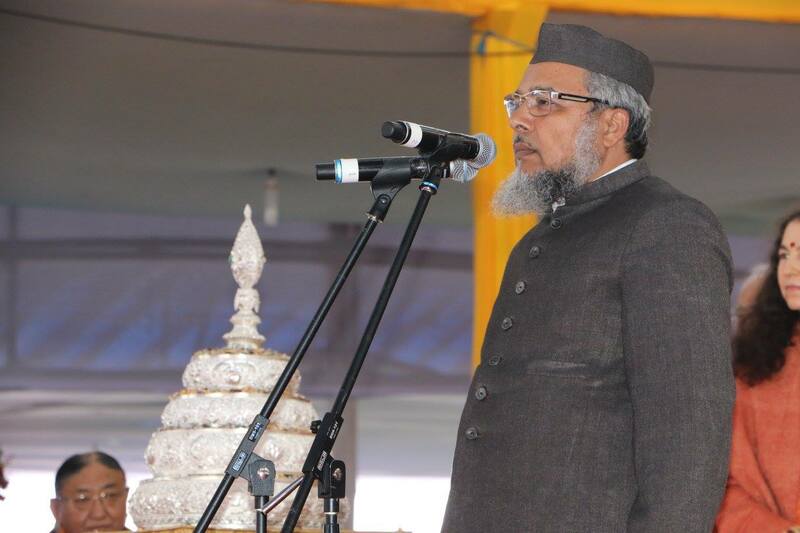 The respected interfaith leaders spoke on the occasion about the importance of faith and the power it has towards catalyzing sustainable behaviour change. 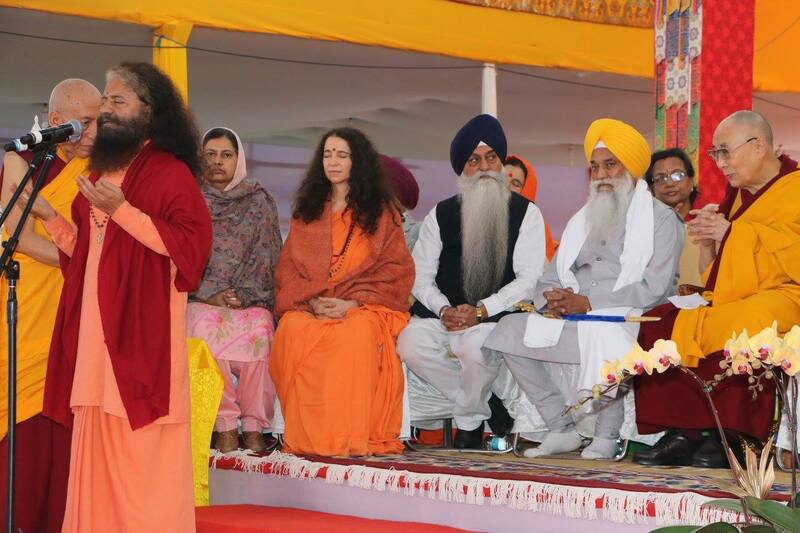 They emphasised the crucial need for cleanliness both within our hearts and minds as well as externally in our communities and villages. 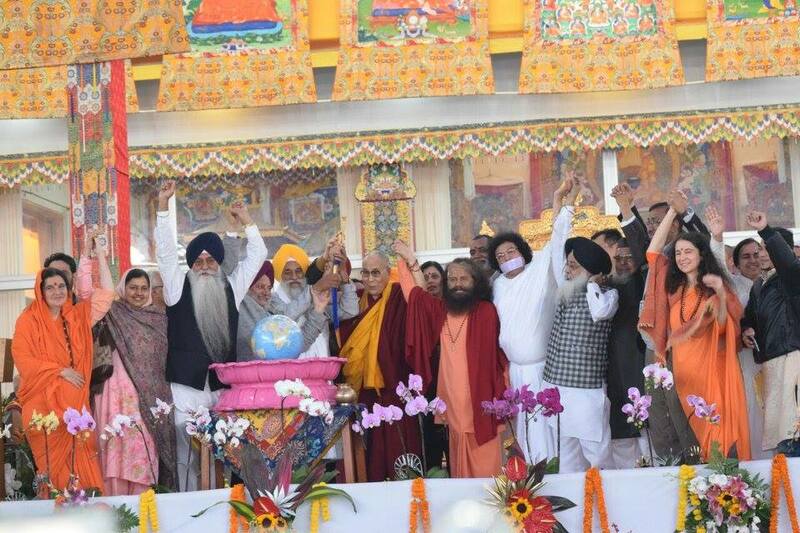 They also spoke about the great need to work together to ensure all people have access to healthy clean, sanitation, and to protect and preserve our environment. 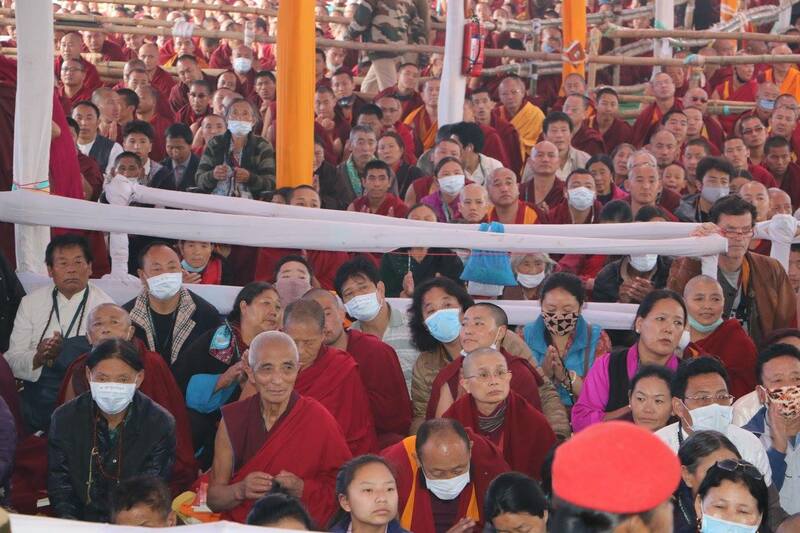 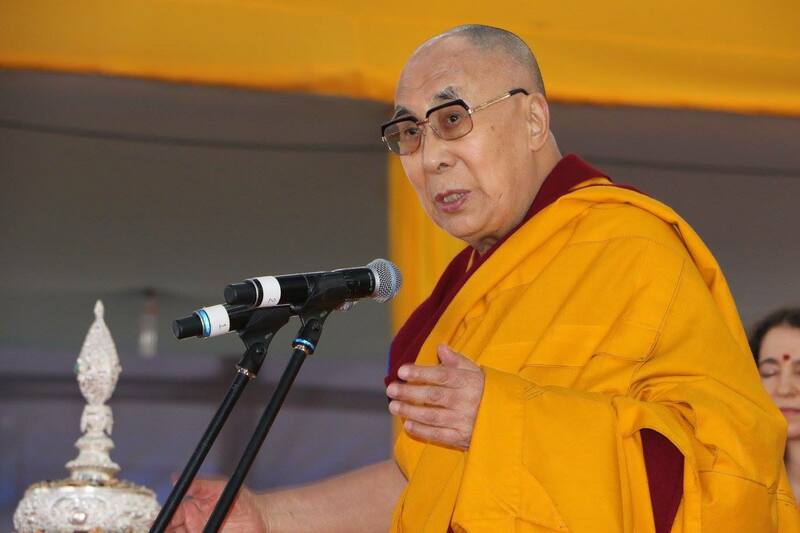 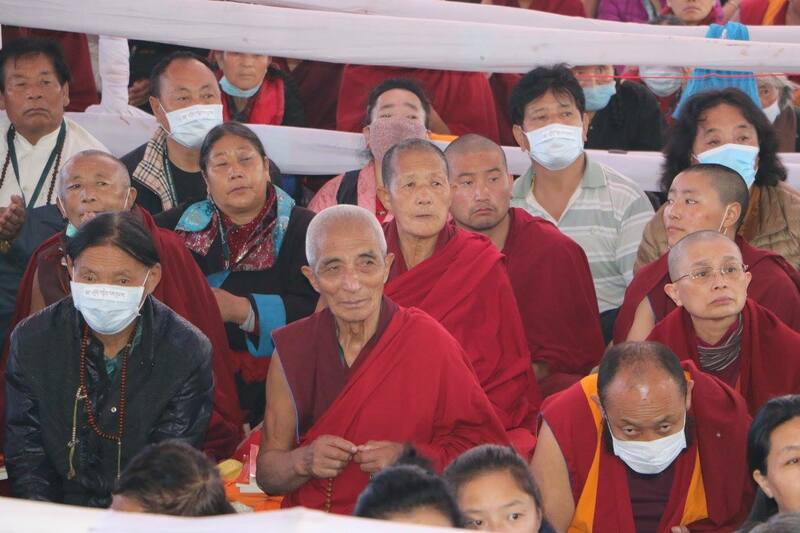 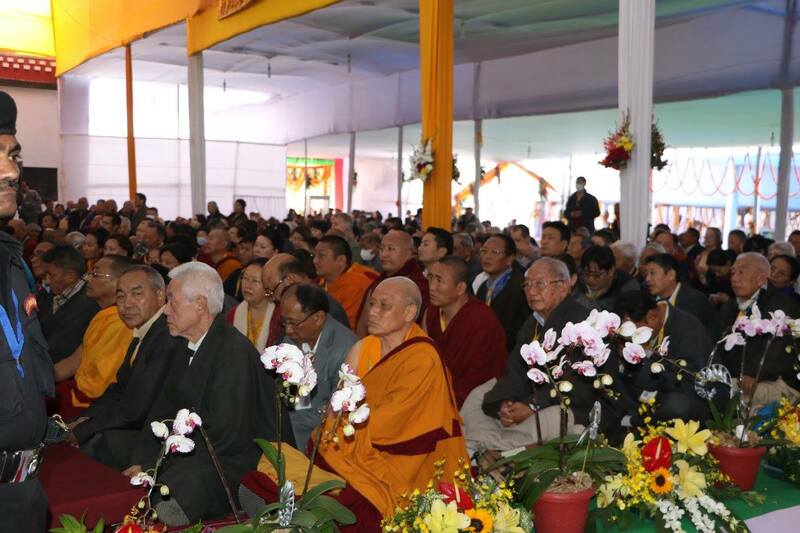 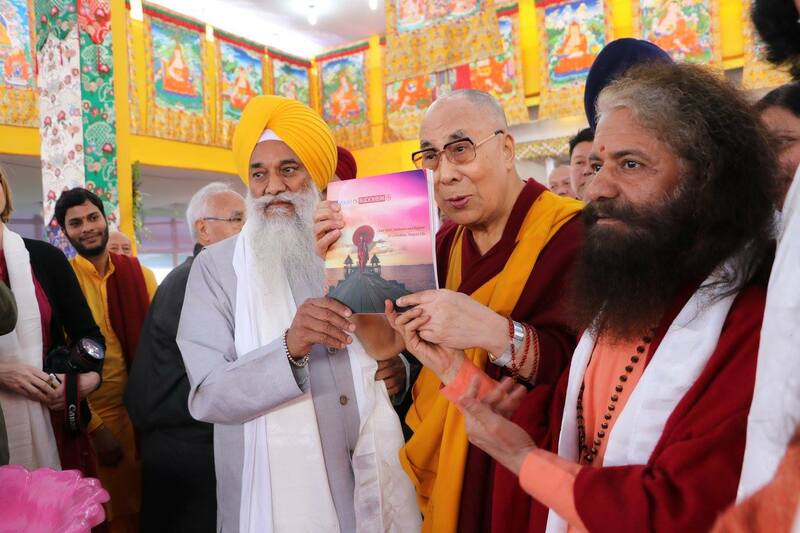 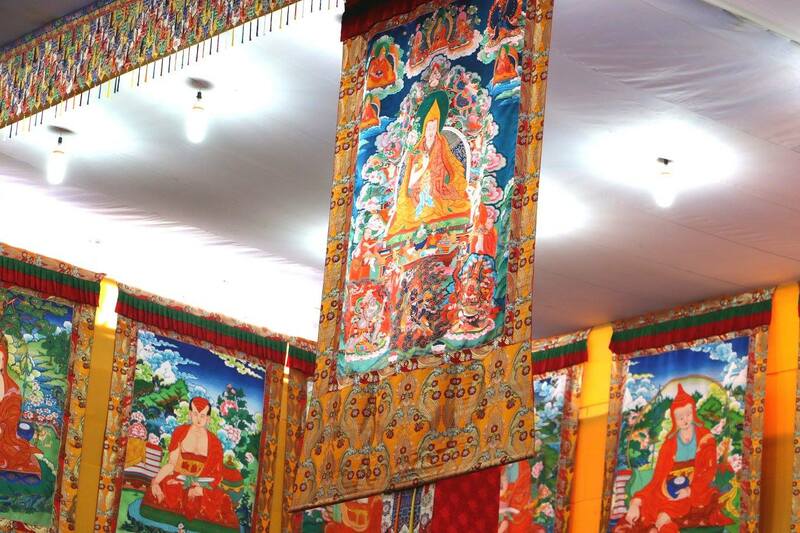 During the event, a copy of GIWA’s WASH in Buddhism book was presented to the HH the Dalai Lamaji, which he proudly displayed to the crowd of over 100,000 people. 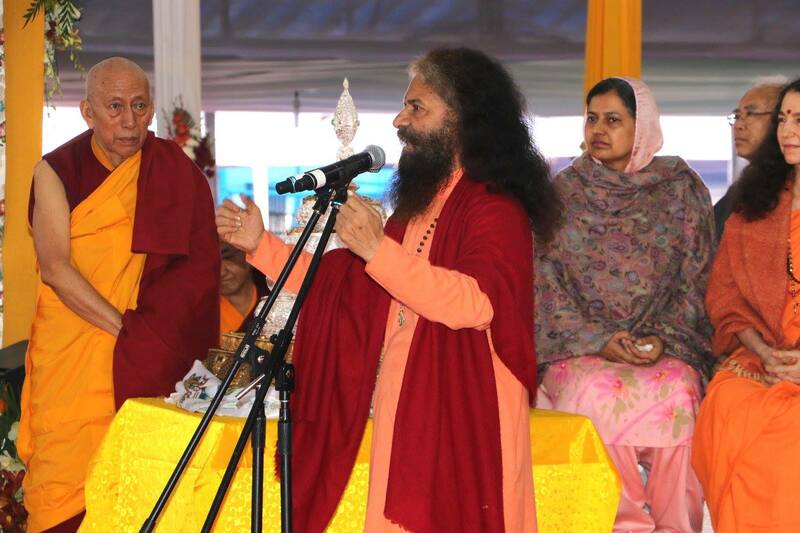 Plans for the launch of upcoming WASH in Faith series of books were discussed. 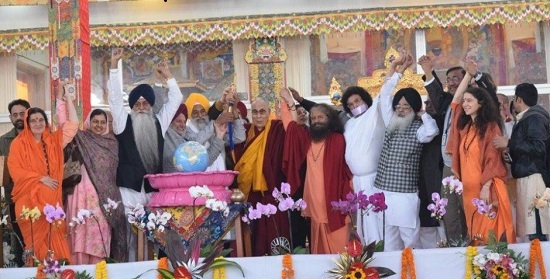 Afterwards, all held hands in a beautiful interfaith pledge for WASH for all and performed a water blessing ceremony, praying that all people of all religions and all cultures should have access to life sustaining water. 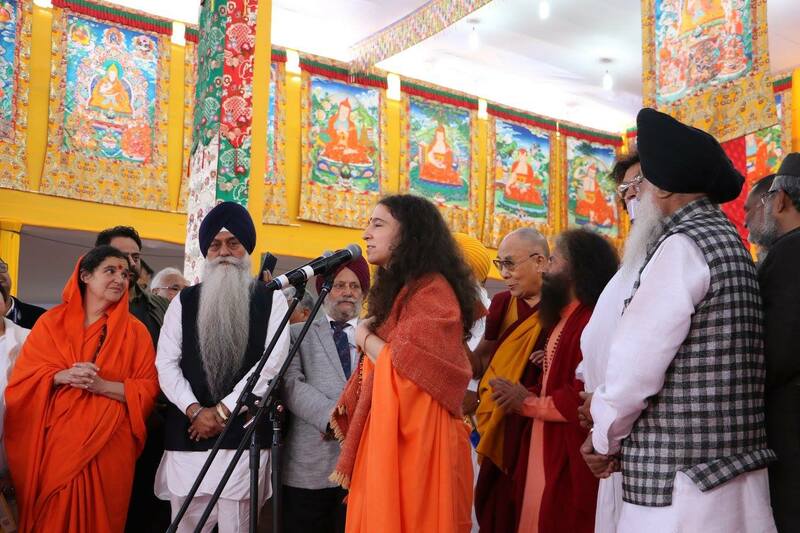 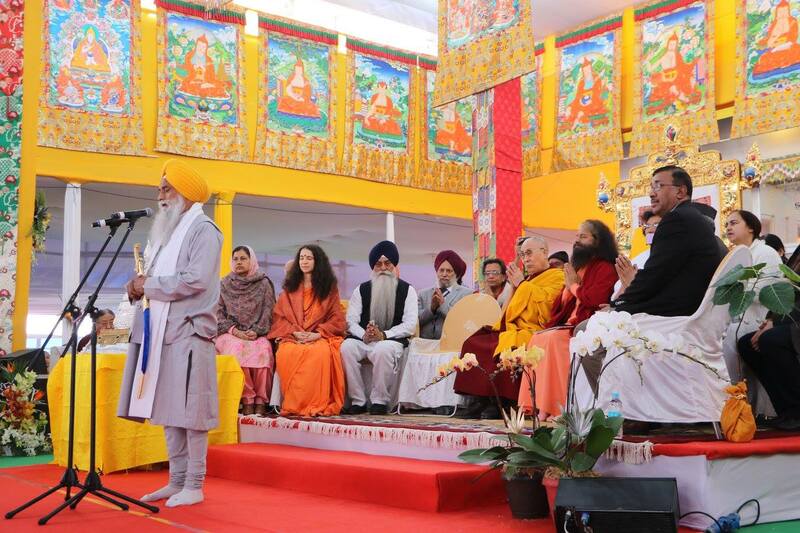 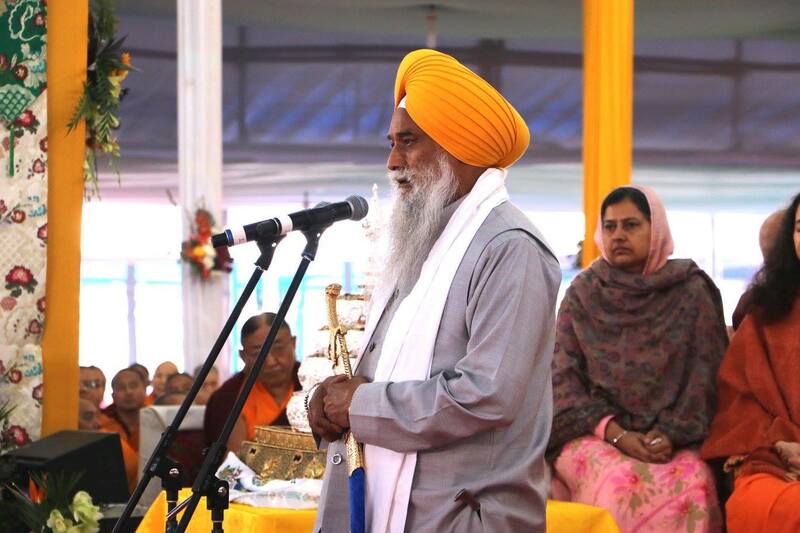 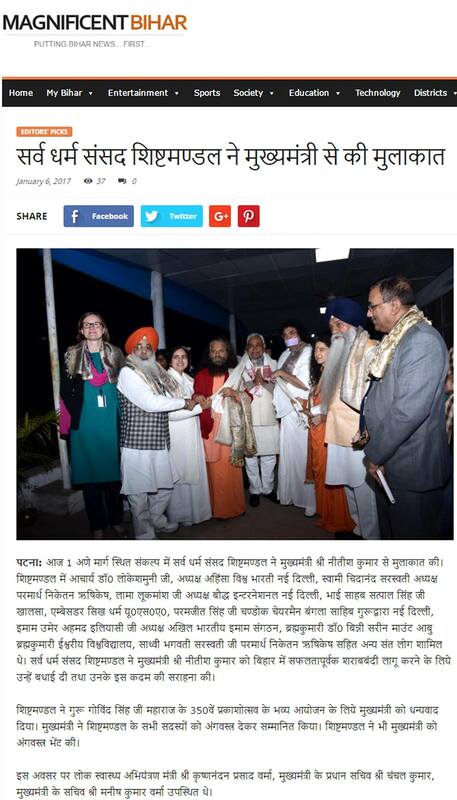 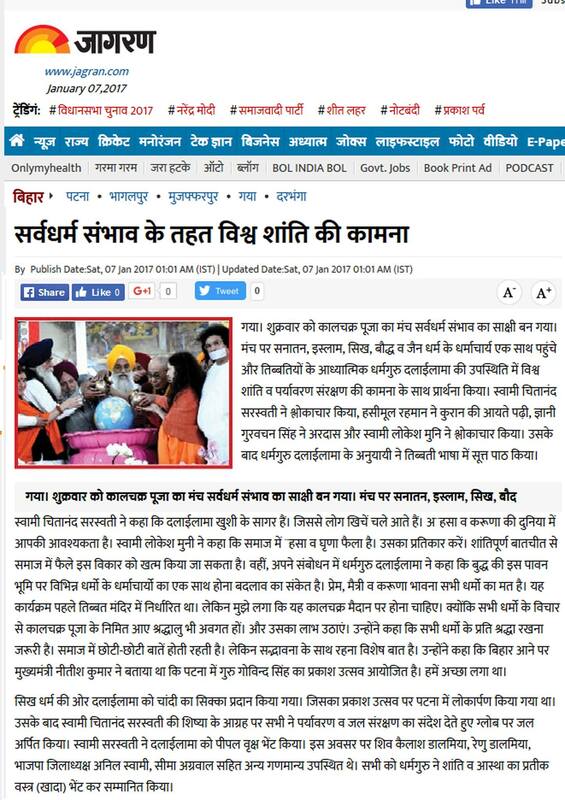 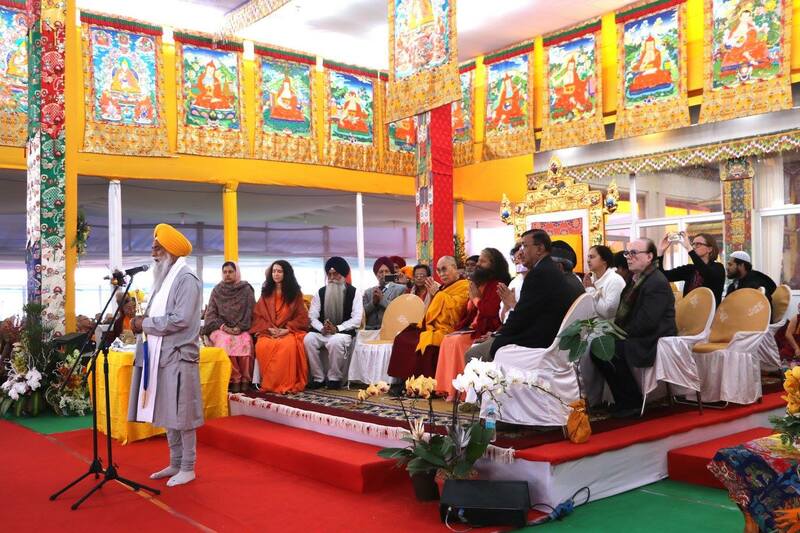 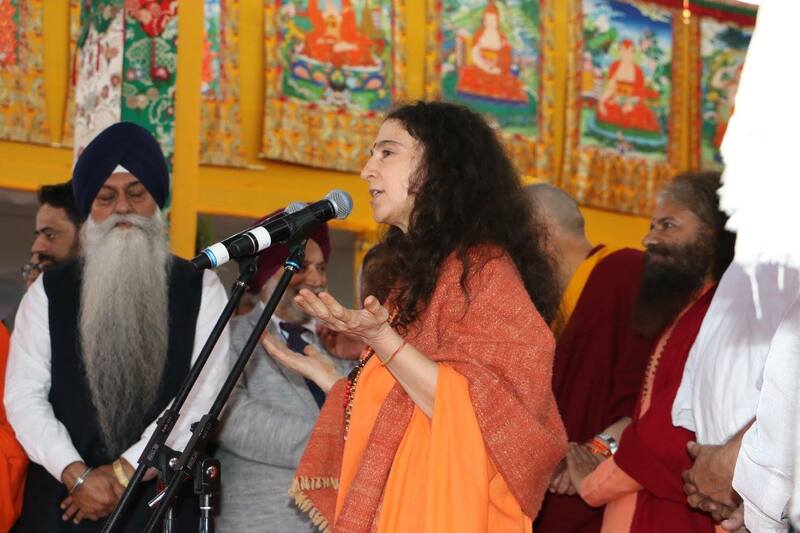 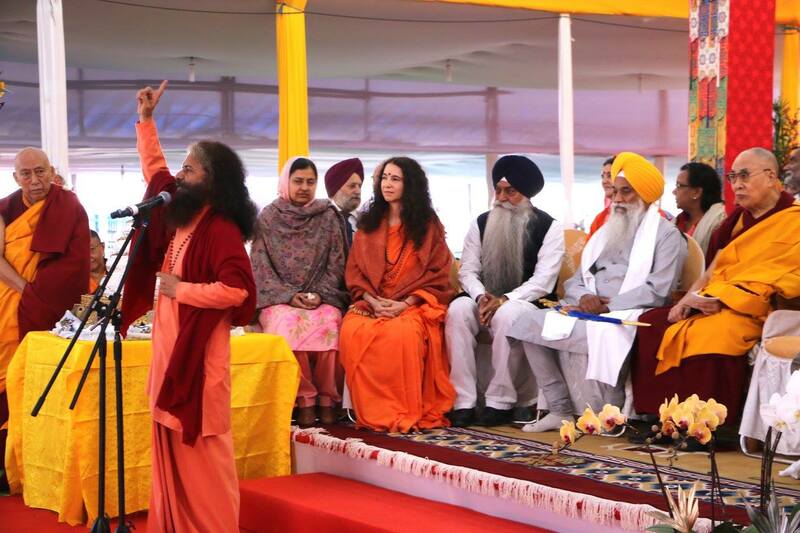 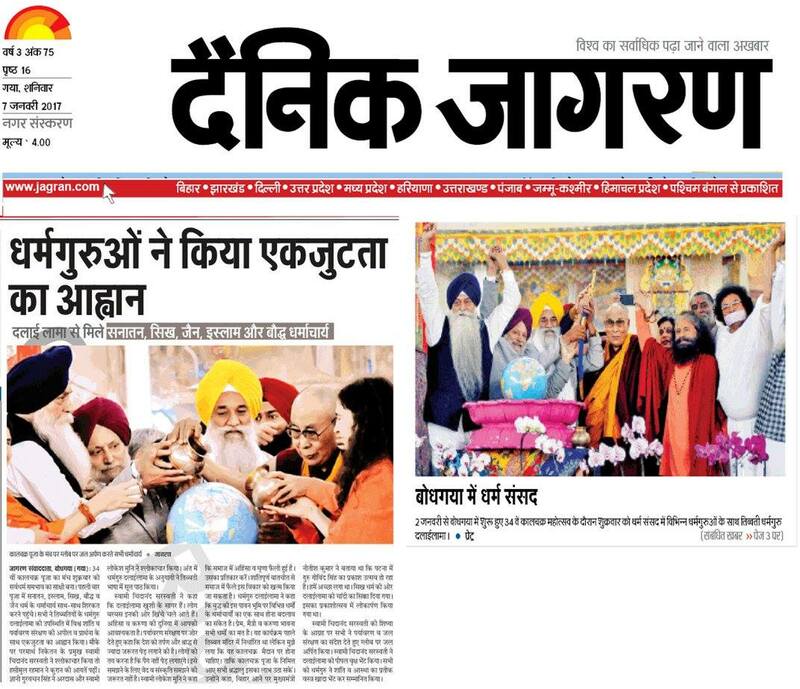 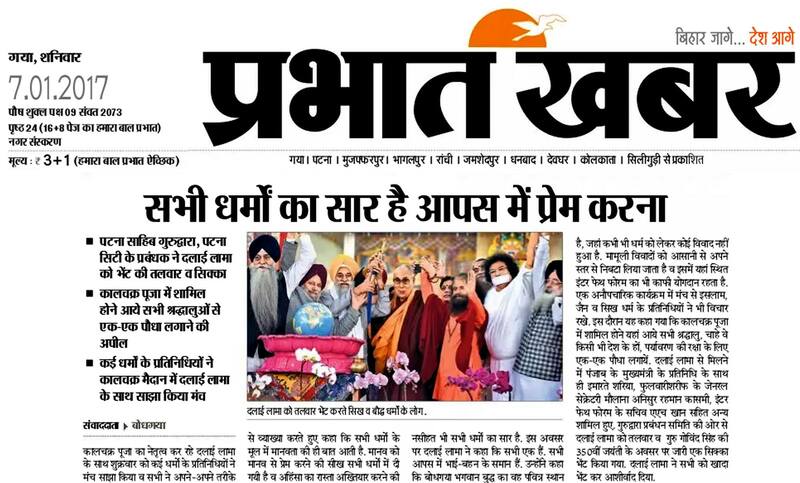 The occasion was blessed by Pujya Giani Gurbachan Singhji, Chief Jathedar Akal Takht, Golden Temple, Acharya Dr. Lokesh Muniji, President of Divine Shakti Foundation Sadhvi Bhagawati Saraswatiji, Sardar Parmajit Chandhokji, Sardar Kuldeep Bhogalji, Swamini Adityananda Saraswatiji, and members of UNICEF India and UNICEF Bihar, including Asadur Rahmanji, Stephanie Raison, Danish Aziz, Pravin More, and others joined the auspicious occasion.